I received this book from Bloomsbury and knew nothing about it, but decided to give it a go. The premise sounded intriguing, and after reading the first chapter I knew I definitely wanted to read it. Shelby Cooper is seventeen years old and lives a very sheltered life with her mother, Shaylene. They live in a small apartment in Scottsdale, Arizona. 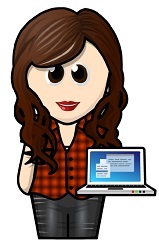 Shaylene works as a court stenographer to support them, and even manages to homeschool Shelby. Their routine is the same every day and she doesn't have any real friends. Fridays are the only days that break routine because it's Ice Cream for Dinner Night, and when she gets to use her beloved baseball bat at the batting cages. It's also when she stops by the library and gets to chat to a really nice guy who works there. The night Shelby gets hit by a car, life as she knows it changes. She ends up in the hospital and when she's well enough to leave her mother packs all of their belongings in the car and announces they're moving. She's fine about moving, even if her foot is busted and she can't walk properly. Shelby knows her mother loves her and has always protected her, so she goes along with this plan. But when it becomes obvious that her mother has been keeping secrets, and she starts acting differently, Shelby starts to question her. Not to mention that Coyote keeps calling her into the Dreaming, and Shelby finds herself on a quest to save a crying child she's been dreaming about all of her life. This book is amazing. I had a hard time summarising the plot without giving too many details away. Trust me when I say that I left out a bunch of pivotal points because giving them away would ruin the exciting way this story unravels. And it's a truly wonderful experience, to watch the world unfold and truly comprehend how far this poor girl's life has to shatter before everything can be put back together. Shelby is a somewhat unreliable narrator and leaves out important details when it suits her. A technique that totally works for this story because it's a fascinating story about a teenager who doesn't know how to deal with the truth when everything is revealed. 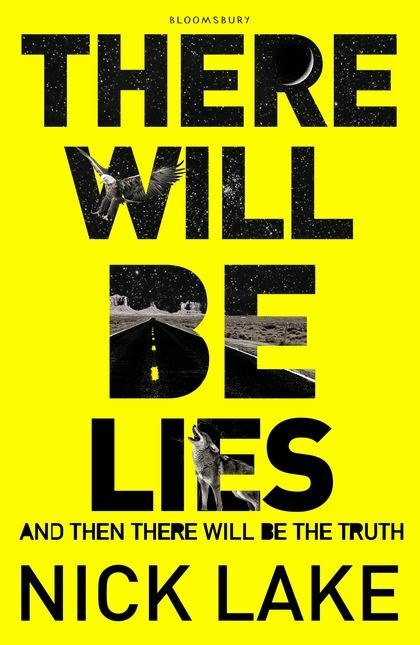 There Will Be Lies is an exceptional, addictive, heartbreaking book. The story hooked me instantly, and all I wanted to do was keep reading. I desperately wanted to see where everything was going to end up. I really liked the way this story was written. And the title is perfect! I absolutely loved this book. It's hard to put into words just how much I enjoyed this.